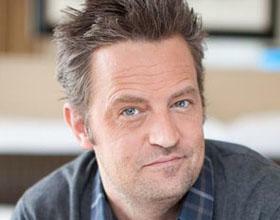 Does former Friends star Matthew Perry have a gambling problem? There are two types of casino crowds — the late evening crowd often made up of people looking to have a good time after dinner, and the early morning crowd who just can’t wait to get their fix in. In a lot of cases, the early morning crowd has some sort of gambling problem. This doesn’t necessarily apply online and isn’t always the case live. But when a casino is empty at 7am and there are a few people seated at the tables trying to make some cash, you can’t help but think these people are desperate to chase that big win. So when TMZ reported that former Friends star Matthew Perry (yes, Chandler Bing of the hit 1990s TV series) was playing Three Card Poker at Commerce Casino, many wondered what the deal was. Perry wasn’t just playing $25 a hand Three Card Poker. He was wagering thousands, in for about $10k by 7am. So does Perry have a gambling addiction? It’s not that far fetched to think so. After all, Matthew Perry could be classified as a former addict. During Friends, Perry revealed that he routinely turned to alcohol. And after a Jet Ski accident in 1997, he apparently became addicted to prescription medication. And if you’re addicted to one thing, you likely have an addictive personality and could fall under something else’s spell. But before you classify Perry as a gambling addict, it’s possible that the actor was researching a role. Many Hollywood celebrities are famous for living the life of a character to get inside their head. Maybe his Odd Couple character is headed to a casino in an upcoming episode. Or maybe he’s starring in a new movie we don’t know about. And if that’s not the case, if Perry was just gambling for fun, consider this. The man is worth about $70 million. Assuming he had dropped $10,000 on the table, that’s only about 0.015% of his net worth. Nope. Not 1%. We’re talking a one hundredth of a percent. To put that in perspective, imagine a man who makes $50,000 a year wagers $250 at the tables. That’s actually about half a percent of his annual income ($500 would be a full 1%). Perry was technically wagering way less than that in comparison, based on what’s in his bank account, so to say that he’s not betting within his means isn’t fair. That said, you can have a gambling problem even by playing for free (you can’t play for free at a land-based casinos, but you can at Palace of Chance). So always set a budget, not just for money, but also for time. If you find yourself unable to stick to it, call your local problem gambling hotline.